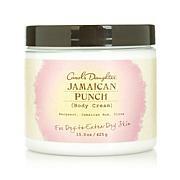 Carol's Daughter Jamaican Punch Body Cream 15 oz. 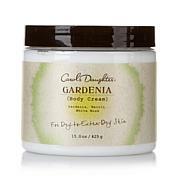 Carol's Daughter Gardenia Body Cream 15 oz. 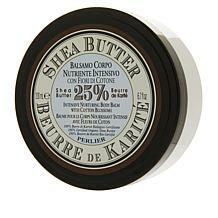 Perlier Shea Butter & Cotton Blossom Body Balm - 6.7 fl. oz. Looking for adventure? Explore Perlier's Milky Way - our best of milk for skin beauty that is out of this world! 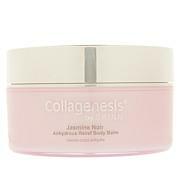 You'll absolutely love how a gentle massage helps leave your skin looking beautifully conditioned and caressably soft. 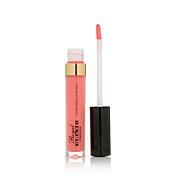 Ingredients: Aqua (Water), Ethylhexyl Palmitate, Glycerin, Behenyl Alcohol, PEG-40 Stearate, Parfum (Fragrance), Stearyl Alcohol, Butyrospermum Parkii Butter (Butyrospermum Parkii (Shea Butter)), Cetyl Palmitate, Dimethicone, Glyceryl Stearate SE, Stearic Acid, Cetyl Alcohol, Carbomer, Hydrolyzed Rice Protein, Lactose, Lactis Proteinum (Milk Protein), Oryza Sativa Germinated Grain (Oryza Sativa (Rice) Germinated Grain), Hydrolyzed Soy Protein, Phenoxyethanol, Tetrasodium EDTA, Methylparaben, Ethylparaben, Sodium Hydroxide, BHT, Coumarin, Citronellol, Geraniol, Alpha-Isomethyl Ionone, Cinnamyl Alcohol, Hydroxyisohexyl 3-Cyclohexene Carboxaldehyde, Linalool, Limonene, Amyl Cinnamal, Isoeugenol. I purchase this product over and over again. This is my fav. of all the others, I now have my husband using this, so I had to order an extra 7 of them today. I bath in the soap and then I bath again in the cream after the shower. I now have him using the cream after the shower. I our elder age we have to use less hot water due to dryer skin, so this helps our skin from drying out. this is the only product next to script that I find that works. This works better. Love it. 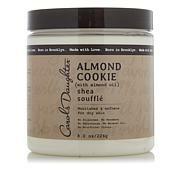 I have to purchase this every year for my dear friend (and also for myself) because it is just so creamy and has such a beautiful calming fragrance. I hope they never retire this fragrance! 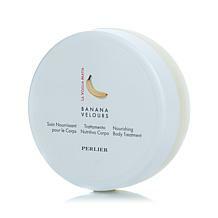 Creamy, skin softening & with a lasting fragrance. Love it! 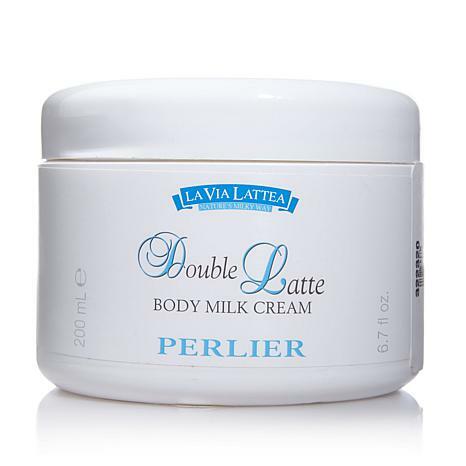 Purchase this as a gift because she loves Perlier products especially Double Latte. I also purchased the shower cream but have not received it yet. Can't wait to get it.